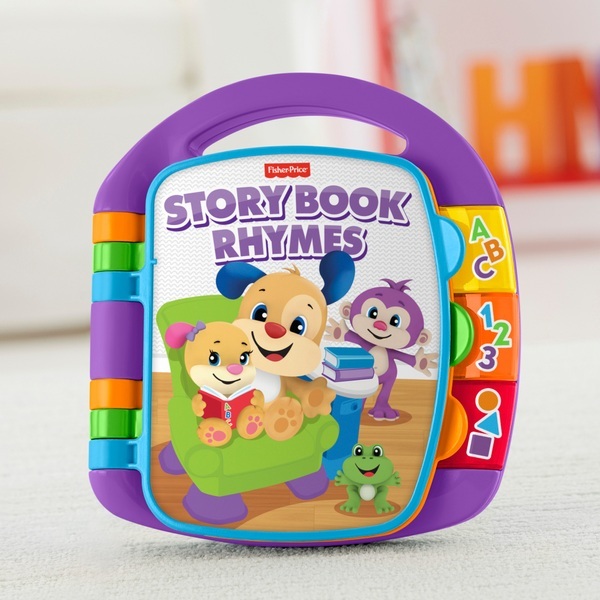 Fisher-Price Laugh and learn characters bring familiar songs and nursery rhymes to life. Turn each page to hear favourites like "Pat-a- Cake" or "Row, Row, Row Your Boat". All the while, Baby will be learning about counting, first words, letters, numbers, shapes and more—so much learning fun in store!